No one likes to hear the words, “You did your best” when it comes to someone who didn’t place very well in competition. This is especially true in a national cheerleading competition. However, when it comes to competition day and focusing on what you can control, the answer is not winning. It’s hitting. For those of you who don’t know, “hitting” a routine means executing it with no deductions. While this might not be your team’s definition of perfect, it does mean that, to the judges, you did everything you could do to get the highest score possible. It means that no stunts fell, all your tumbling landed, and no one violated the safety rules. These are bigger accomplishments than you may think! That is why many competitions these days have begun giving out awards or mementos for those teams who “hit zero,” as we say. We know that most athletes want to win. They want to stroll home and walk through their schools with “National Champion” jackets. Everyone wants to tell their friends that their team got a Cheerleading Worlds bid and now they are off to Orlando. They at least want a giant trophy to take a picture in front of and show off on their Instagram. However, competitions are filled with thousands of athletes, and there is no way to control what those other athletes can do. All you can control is what YOU and YOUR team can do. With that being said, your team may not have as strong of tumbling as that other team from Louisiana. Perhaps a team from Texas mastered their full ups, while your team only has three of your four stunt groups performing the same stunt. Regardless of what you have come to perform, your coach likely gave you and your teammates whatever you can execute confidently. There is no way to tell what the other teams will do, and because of that, they may do something a little harder that will give them difficulty and style points with the judges. That does not mean your team has done anything wrong, and in fact, it has nothing to do with your team whatsoever. What does have to do with your team is how well you perform your own routine. It’s easy to know that you all have a basket toss to throw, but how well you do it is what really matters. You’ve thrown this toss a hundred times (or more) in practice, but only this one toss matters. How high will your flyer go? How hard will she hit her skill? Will your group catch her safely and securely? These are all things that the judges are looking at in your routine, and if you execute your toss well, then they will reward you for it with points. However, you can only control your team’s tosses. You can’t help or hurt any other team from the sidelines! With that said, only hitting at a competition matters. And we know that if your team hits zero deductions, it’s likely that the rest of the scorecard is going to look pretty good, too. Winning depends solely on what teams are there with you and who you are competing against. Your team could get third at one competition and end up being Grand Champions at the next! As we said before, all you can do is try to hit zero and hope the judges see what you put out on that mat. 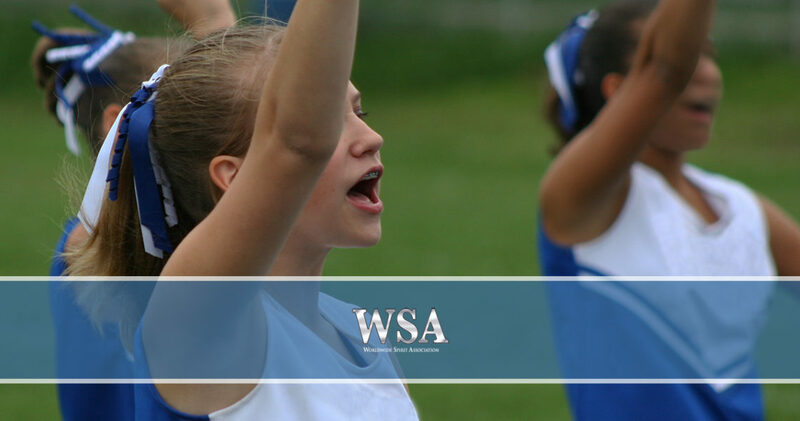 We at WSA look forward to seeing you at our competitions, and we hope to watch you and your team hit a zero deduction routine! To learn more about our competitions and to register, have your coaches contact us today.